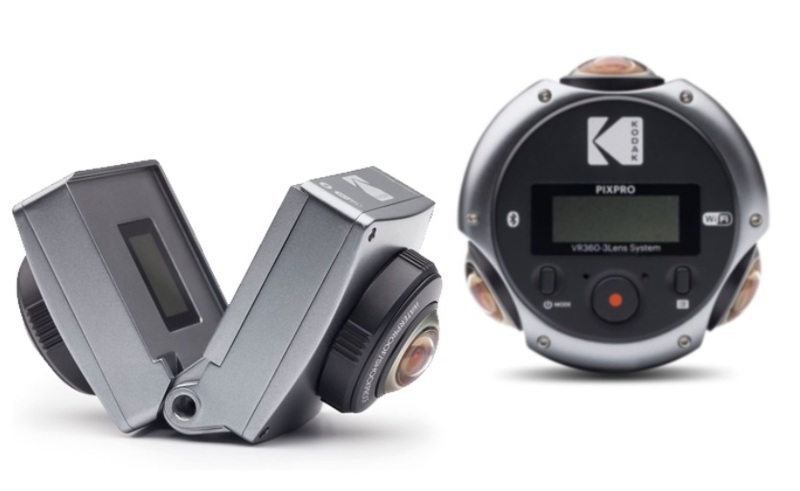 Kodak PIXPRO will be at VRLA 2018 and it seems they will be showing their new 360 cameras there too. You recall that Kodak PIXPRO revealed two new 360 cameras at CES 2018 — a new compact 8K camera with three lenses, and a folding camera that converts from a 360 camera to a 3D 180 camera. Well, I got an invitation to check out their VRLA booth, and the invitation included this photo of the two cameras. So it seems they will be showing those cameras again at their booth in VRLA 2018. Will we learn anything new? See samples from these intriguing new cameras? We’ll see next week! They blew it so badly delaying the Orbit, it’s nearly impossible for them to rebuild trust by now…!